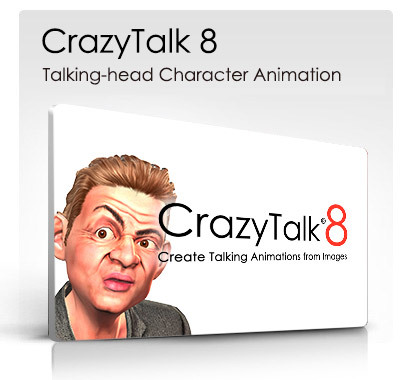 CrazyTalk PRO interfaces facial animation with revolutionary real-time puppeteering controls empowering you with command performance over character facial expressions. The program provides the advanced functions and productivity with the most innovative and accessible features allowing you to command and control facial performances like never before. 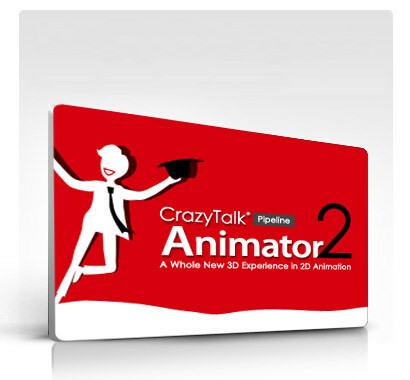 The CrazyTalk product family provides a total animation experience with innovative tools designed for aspiring and pro animators. Learn more about CrazyTalk 6 and CrazyTalk Animator to choose which version matches your ambition. CrazyTalk Animator focuses on total animation production with actors, props, scenes, camera & a complete time-line for precision animation. The real difference with CrazyTalk Animator is you get full characters with a talking head and full-body motion. CrazyTalk Animator is a great match for ambitious beginners, educators, video editors and all users that need a total 2D Animation solution with deep character creation and performance animation tools.